As a part of their 18th year anniversary, Dubai International Hotel has announced the launch of its first membership rewards system ‘DIH Rewards’, offering members a chance to benefit from booking at the hotel. 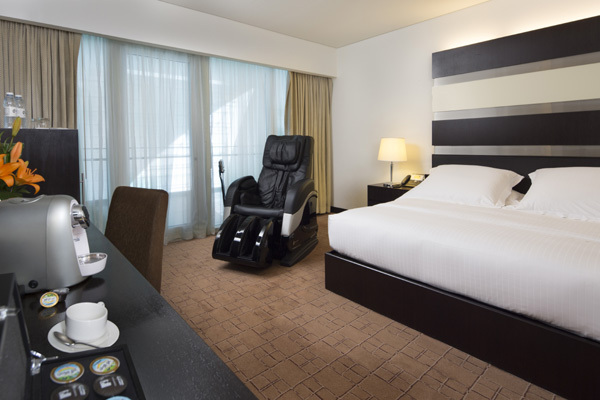 The 530-room luxury hotel is located within one of the world’s busiest airports – Dubai International (Terminal 3) and plays host to a myriad of travellers from across the world daily transiting through Dubai. The programme offers guest benefits by earning 'Stay Credits' every time they book a room at the lavish airport hotel. One booking results in one 'Stay Credit'. An additional bonus for past guests of the hotel is that they can convert all their previous hotel bookings from as far back as January 1, 2015, into Stay Credits. “We at Dubai International Hotel, are constantly looking for ways to build a community of travellers and this programme is our way of giving something back to our loyal guests. Dubai being so strategically located on the world map, has millions of transit guests. Our hotel receives a regular influx of layover bookings and by way of this program, we intend to encourage repeat stays and of course, welcome our loyal customers back. The more they stay with us, the greater their benefits! We eagerly look forward to debuting DIH Rewards very soon,” said Avinash Menon, general manager, Dubai International Hotel. The programme will feature four elite tiers – Onyx, Emerald, Diamond and Ruby– which exemplify the aspirations of the Dubai International Hotel community as well as reflect the Spirit of the Union, symbolising the four colours of the UAE flag.